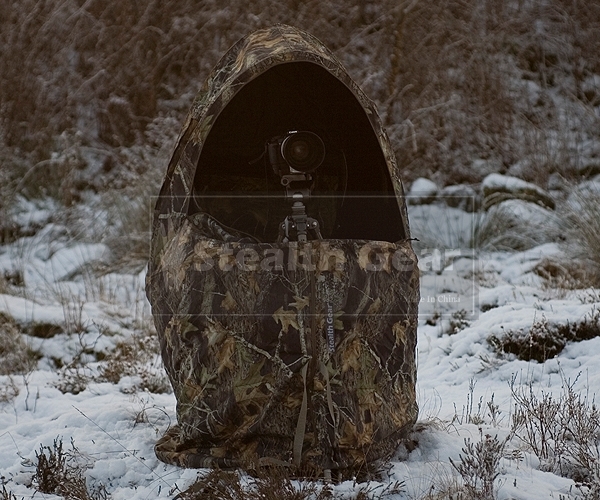 Stealth Gear one man wildlife chair hide. 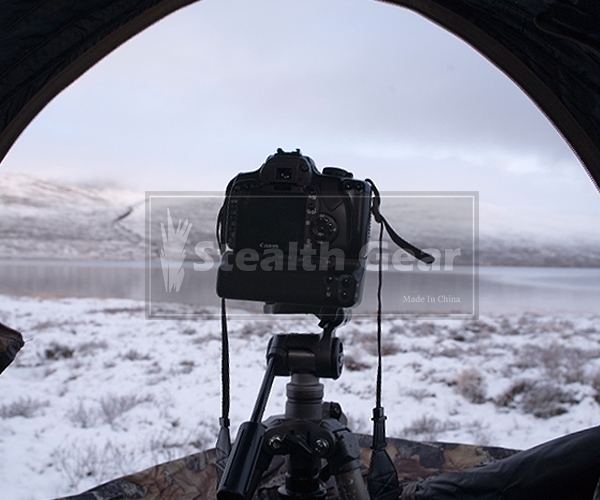 Our Stealth Gear one man wildlife photography camouflage chair hide integrates a hide and seat giving you the ideal mobile solution. 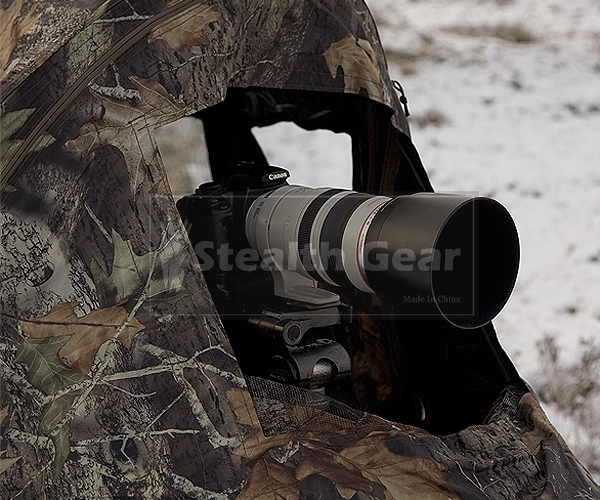 Get closer to your wildlife subjects while being comfortable and protected from the elements. 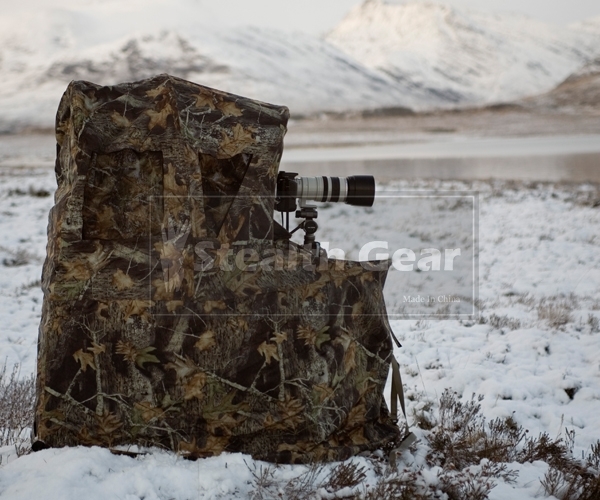 This one man chair hide is ideal for photographers that carry little equipment and require the hide to be as portable as possible. 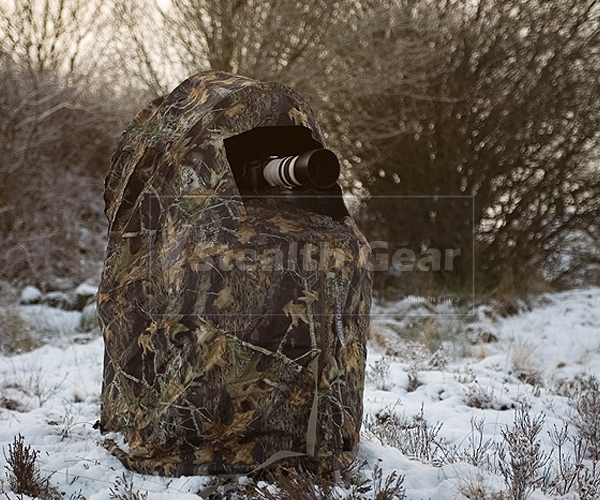 The one man chair hide is ideal if you are looking for some quiet time on your own. Escape on your own for a few hours in the countryside or escape to your back garden, either way this hide is ideal. The new M2 serie is improved in many ways, there is now storage room on the inside 2 bags 15x20cm with zippers, the quality of the construction of the chair is improved the same counts for the zippers. Also the one man M2 has now a back window with windowflap, mesh and zipper. Camo-Tree Camouflage Pattern. The camo-tree camouflage pattern was designed in the UK for UK countryside, this camouflage can be used all year round. Cup holder in chair, colour of the chair is black. Inside the hide you will find enough space for you and your tripod/monopod. 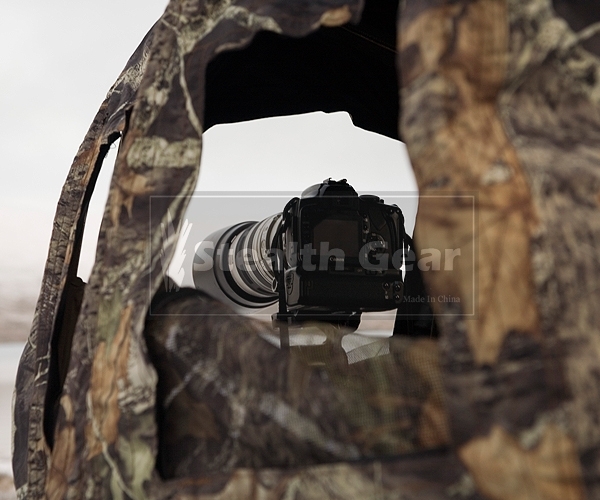 The hide is designed for one photographer to be able to work comfortably. 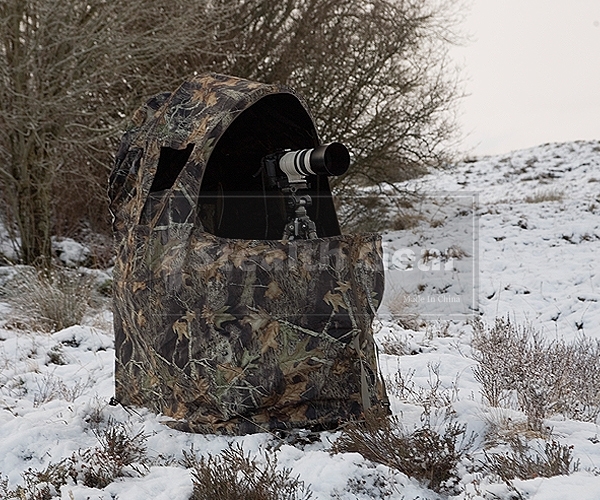 Enjoy a relaxing time wildlife watching or wildlife photography in comfort with this chair hide. Relax and take time out on your own and enjoy the simple things.